Want it by Thursday 25th April? Order within 22 hours, 21 minutes and choose Next Day Signed For (Special Delivery) at checkout. 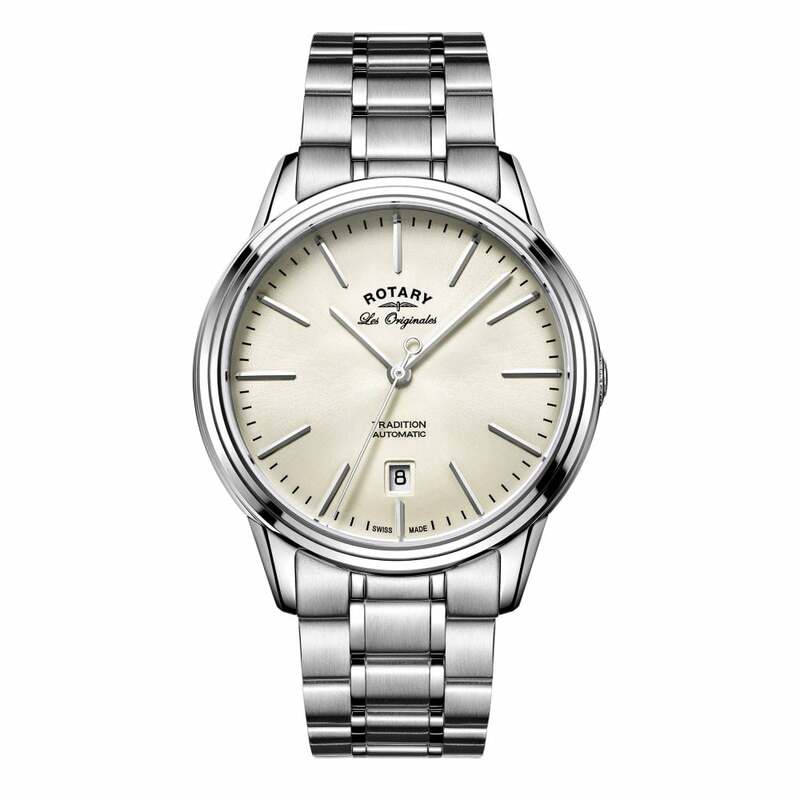 Gentleman's Rotary Les Originales Tradition swiss automatic watch with a stainless steel case and bracelet. This watch features a silver dial with a date function at 6 o'clock and comes with a 2 year manufacturers' guarantee.